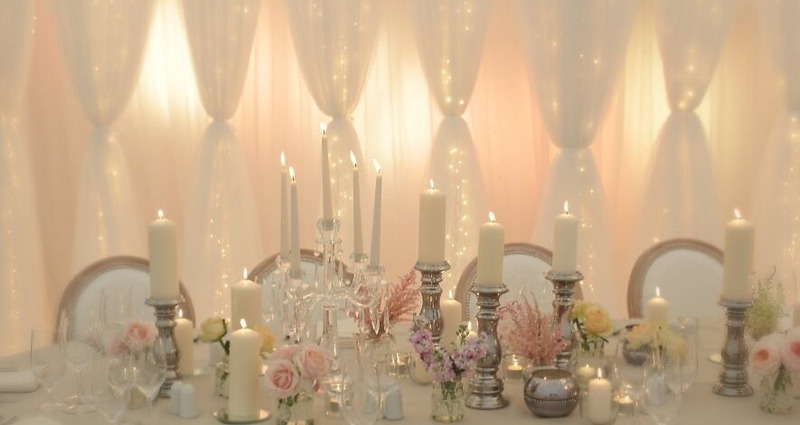 Many brides have told us this is the best way we can help them is to spend some time with them discussing what is possible and what options are available to them within their budget. Brides who have availed of our consultation service have found that an awful lot can be achieved in such a meeting. During a consultation we take time to get to know a little more about the bride and groom, their likes and dislikes, their hopes for their wedding and the sort of ceremony and reception they want to have. At all times we are conscious of budget constraints and are focused on making sure that you get the best possible value for money. We go through how you want your wedding to be and discuss with you how best to achieve your dreams within your budget. At all times our goal is to ensure that each wedding is personalised to the particular couple, so that your personalities shine though the decor. Consultations are free of charge if the you come to our show room, we charge only travel expenses if we meet with you at your venue. Simply complete the form below and we will contact you to arrange a suitable time and date.